2019 Grammys held late Sunday night at the staples centre in Los Angeles with music’s big shots in attendance to celebrate the past year’s biggest albums, and artists nominated for different awards. 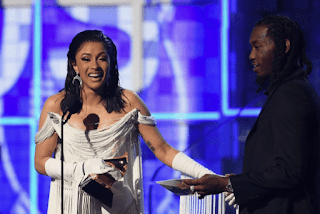 U.S rapper Cardi B won Best Rap Album for her Invasion Of Privacy album. The mom of one was nominated alongside Travis Scott – ASTROWORLD, Mac Miller – Swimming, Victory Lap — Nipsey Hussl and Pusha T for Daytona. 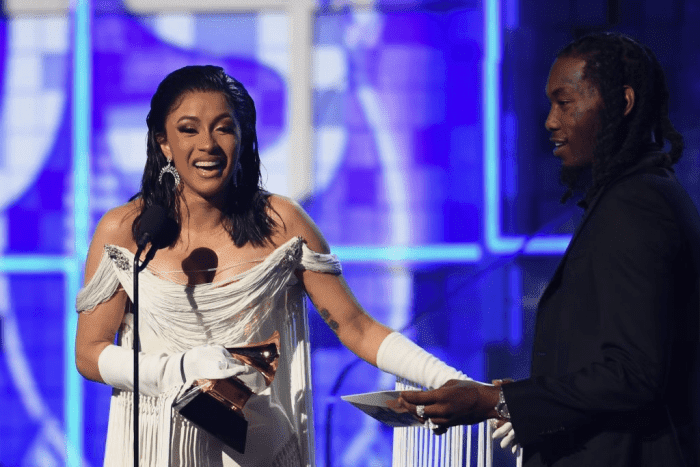 Although Cardi B has said a thousand thank you in a video on social media for her award, Nigerians reacted stating that Cardi has more Grammy awards than Nicki Minaj, Fela, TuPac, J Cole, Nas, Snoop Dogg, Bob Marley and Biggie put together.